It’s not a easy thing being in the ongoing dispute with SME, what are everyone’s feelings now? When we left SM we have already mentally prepared, that’s why we were able to tolerate until now. Even though it’s very tiring, but we are confident that there will be a satisfactory resolution, always look on the brighter side. How big is the possibility of DBSK duo reuniting with the 3 of you? Looking at the situation at the moment, the likelihood is not very large, but we believe that this day will come. We were together for more than just a year or two, we are a group that have been together through the most tiring, most painful, and most passionate times, always heading towards the same direction. Under the same sky with the same dream, we will one day stand together. We hope to present this side to our fans, but how the situation will develop now is unknown to everyone. Do you have regrets about being in your current situation when you were at the height of commercial interest? How would you evaluate your success in Japan as 5? Compared to the market value, we are more inclined towards our prime time in Tokyo Dome Concert, of course there are some unsatisfied parts, because we had to prepare and make decisions as if we can’t be singers again and can’t perform on stage again, instead of pity its better to say regret. When we first debuted in Japan, we didn’t have an opportunity to promote in Tokyo, we had to go through all stations other than the ones in Tokyo. Now that we are able to see the younger singers receive a lot of media attention when they first debut in Japan, it is a big feat. If BoA is sad to bring hope and possibility to our debut in Japan, we would be the ones that cleared away all the obstacles, so the younger singers would have a better environment in Japan to debut, this makes us feel happy. “Now TVXQ is made up with YUNHO & CHANGMIN. 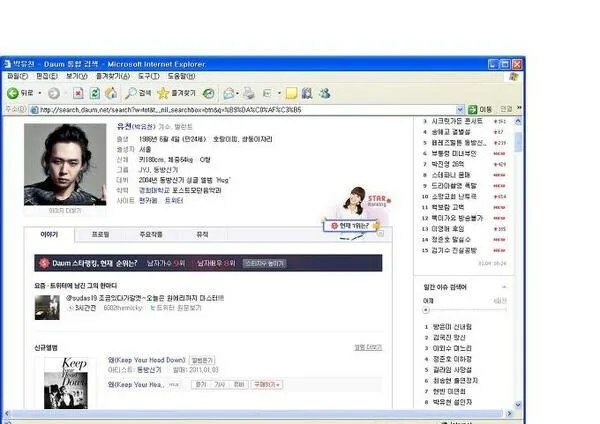 dnbn.pe.kr, TCT, TVXQ Gallery of DC did to disturb their work and to boycott and spreading rumors. So we won’t accept them as a TVXQ’s fansite. We can no longer do nothing about their abuse of power. Please give us unchangeable support and love. This official notice is posted to YUNHO, CHANGMIN’s fansite and fancafe jointly. This announcement was posted in HM’s fansites. So far as I know is that all the big TVXQ5’s comunities support more JYJ. Aside of TCT, the rest Fansites still didn’t release their official statements and position. take note that this can only be update by request of SME. JYJ’s fans already reported this to C-jes to take actions. [NEWS] JYJ to be on SBS Good Morning Show? “Good Morning” will air January 5th, 2011. Recently we got alot rumours saying SBS canceled JYJ broadcasting show. There are news posted in Korea. Alot netizens were mad expressing their disagreement to the change of plans and they spammed SBS with messages. Now suddenly SBS say they moved the date of airing to Friday (January 7th) “coincidence” the same date when Homin are going to make their comeback stage in another channel Music Bank (KBS). Honestly I don’t know what is really happening here, I have mixed feelings, I feel grateful and the same time suspicious by SBS channel. I mean most SM’s artists are working there and we all know how SM works. Whatever happens I hope SBS doesn’t change the plans again. This is the official position of ‘the Twenties Cassiopeias for TVXQ’ about TVXQ as a duo. Hello. This is the sysop of ‘the Twenties Cassiopeias for TVXQ'(TCT). After passing the 2010 that was harder we expected but felt fresh, it was to come the New Year. I wish all of you a Happy New Year. And as a sysop, I’m very sorry to announce the notice like today, to many our members with TCT for 7 years. If it’s possible to be with all of you, it may be better. Because TCT that held barely under the big justification of ‘5 each member are the TVXQ’ lost even the justification, I became to announce the official notice. In fact, through last official notice, we appeared the position of our managers and you’ll already predict the major opinion. So it’s not surprised and not brandnew, predeterminate thing. 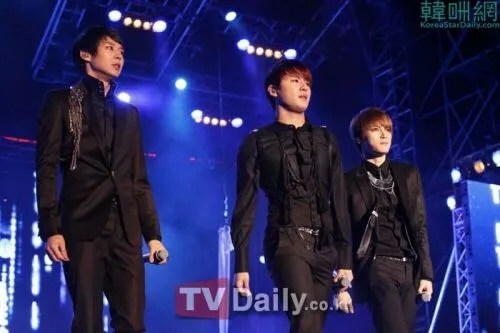 In the past year 2010, who else could dominate the music scene like JYJ? Their first album The Beginning had pre-sale up to 520,000, receiving lots of attention in Korea and abroad, such high achievements gave the collapsing domestic markets a strong boast. Including the Asia tours from the past few months, all of the tickets were sold out. 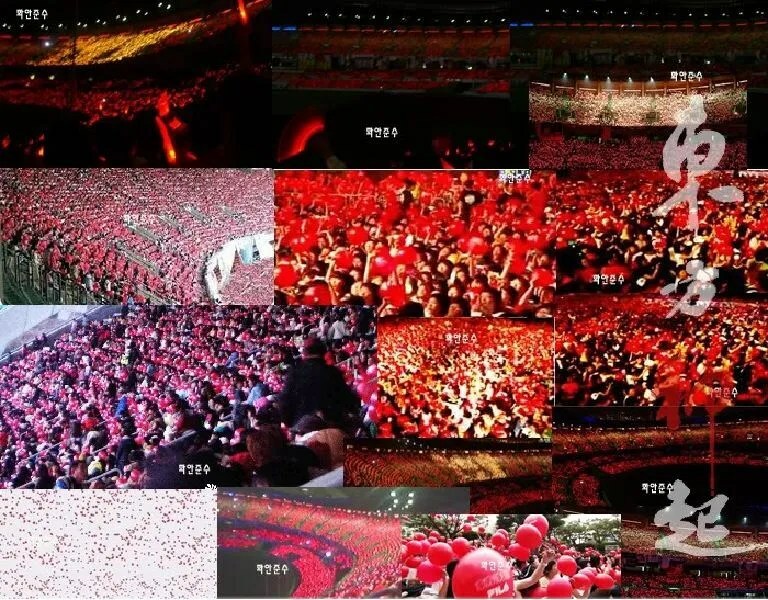 Even though JYJ’s fans are less than number of original TVXQ fans, but original fans still consistently supported them when they started their activities, which is very significant to the group. Moreover, they also gained fame. Their new album successfully ranked 5th for Billboard best album of the year, they were also on the home page of the Billboard website, and JYJ with such impressive results when they didn’t do any TV promotions is very inspiring. JYJ who have been through a lot during the year of 2010 have different thoughts than us, even though they kept most of their original fans creating huge achievements, but because they can’t participate in regular activities, how are they anticipating 2011? Boy band TVXQ’s 5 members are walking separate paths, JYJ (Junsu, Yoochun, Jaejoong) took the lead returning to the music world, TVXQ’s Changmin and Yunho will comeback in the next few days. Even though there’s a lot of regret, but even if it’s 3 people group or 2 people group, they have the same heart. It is true for JYJ as well, even though they have legal conflicts with their previous management SM Entertainment, but we believe they have matured a lot through out these experiences. Fans have also split, they are more like two separate groups, but this is not a good thing. The strong presence of the 5 member TVXQ in the Asian Music world and markets could not be ignored, with careful analysis, these results are impossible to be achieved by anyone else. Therefore we can’t look at their situation with conflicting views, we need to start accepting them. Basically, this is an official statement from the DBSK fanclub ‘AkaDang’, a DBSK5 fanclub of people in their 20s…the bulk of the message deals with how the fanclub was disappointed in SM’s decision to have Homin continue under the name Dong Bang Shin Ki, which only has meaning with all 5 original members present, and they are also disappointed in Homin’s tacit consent in using the name DBSK and coming back with a song that (in the fanclub’s view) disses the other three members. This unfortuante decision has thrown this fancafé, as well as the majority of Korean fan cafés that support all 5 members of DBSK, into a crisis of identity…and the lack of foresight that this would happen on the part of SM and Homin is disappointing. After a long deliberation, the admins of Akadang have decided to drop all Homin related information/promotion from the café page and continue in full support of JYJ BUT of JYJ as members of DBSK…they are debating between using either ‘JYJ from DBSK’ or ‘JYJ in DBSK’ as their main concept. The message ends with some words addressed to SM: Is this really how SM treats its fandoms? Does SM really think its decision and actions thereafter are benefiting Homin? If SM is truly an entertainment agency that doesn’t think of its artists as products, then can’t it at least “pretend” to act responsibly in light of social justice? DNBN, Yuaerubi, DC are deciding right now. Finally we have an article about this issue posted in Allkpop. Read the lyrics by yourself, the rap part done by Yunho is the part who cause alot fuss.